As the Season 7 premiere of Supernatural draws closer, fans are throwing out their predictions of what may happen with our beloved Winchesters. There's no way it will be smooth sailing for the boys because, after all, their family is cursed and the fate of the world often lands on their shoulders. They've fought demons, banished ghosts, averted the Apocalypse, brought Lucifer topside, and lost their lives more than once. Sam and Dean aren't going to suddenly settle down in happy domesticity, so that means there can only be more trouble down the road. What might that be? Well, I have a few hopes and dreams for the new season myself. Give Me Tentacles: The rumors abound on what fate may befall Cas and what the Big Bad of the season may be. It doesn't look good for the angel turned god. It would lead one to believe that he may turn out to be the Big Bad that the boys have to fight against, but let's not confine ourselves to the obvious. There are a ton of other baddies out there worthy of the fight. Some have spoken on Cthulhu and others have bandied around the name of Kraken. You see a theme there? Tentacles! And what is my hope? I want tentacles bursting out of Cas' chest like a scene from Alien. He swallowed some bad stuff when he took in the souls of Purgatory. I doubt the bad sea monsters will be content just staying inside his body for the long-term. Bye, Bye, Panic Room: I love Bobby. I think he's a great adoptive father to the boys and it's nice that they have someone they can go to for help when things get tough. However, I think they've started relying on Bobby, and especially Bobby's house, a little too much. This is a road show and I want the boys to get back on the road, with all the fun motel decorations that includes. That means losing Bobby's house as their base of operations. Get Bobby out of his house and then blow it up, demolish it, put a seal on it so no one can enter, something! No more home-base, no more panic room, no more ties to anything other than each other and the road. As for Bobby, he can always move in with Sheriff Mills. Arrest Those Boys: I have long missed the days of youth when the boys made their way by hustling a few games of pool or darts at the local bar. 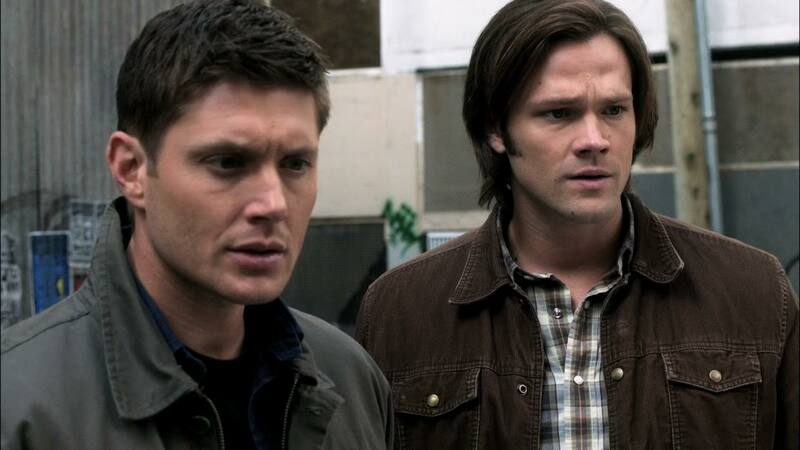 They're Winchesters, they're fully equipped to take an unsuspecting challenger for everything in their pocket. Dean has shown that he can easily make hundreds in a night and he taught Sammy everything he knows. Let's get back to that. With the avenue of stolen credit cards out of their reach, they need something to make living expenses. And to go along with that, let's get back to the boys versus the law. Have them run afoul of the local authorities, throw them in lock-up for a night, or just have them involved in a chase once in a while. They're outlaws, make them act like it. Meet Sam, and Sam, and Sam: Sammy spent the Season 6 finale reintegrating the different parts of his personality. Well, kinda. All the pieces are there, but his head is scrambled more than Sunday breakfast. He's not going to get away with a simple headache and then be fine. The repercussions of the wall coming down are sure to haunt both him and Dean for a while. My hope, as he gets back to sanity, is that he'll have to actually integrate personalities. What I wouldn't give to have Soulless!Sam just pop out for a few minutes as they're driving in the Impala. Or Hell!Sam could have him screaming out in terror as he tries to catch a few hours of sleep. The point is, he's got three versions of himself all residing within his head and it's bound to get crowded if they don't learn to get along. Me and My Brother Against the World: Above all else, every season, I just want the boys to be together. They are stronger together than they can ever be apart, so I hope we get to cash in on that and have the Winchester boys back together and in action. This may well be the first season in a long time where we start out with the boys on the same side, fighting the good fight, and making sure they watch each others' backs for the badness that could be out there. These boys would die for each other, and have quite a number of times. That unhealthy codependency is what makes me watch the show. Let's keep it up! So what about you? What are your hopes and dreams for Season 7 of Supernatural? Got a story arc you want to see come to fruition? Got a monster you're dying to see face the Winchesters? It's Season 7, anything is possible!